Making the complaint for any product or the services when you are not happy about them is the best way to let the services and product know, that they need the improvements. Being a customer of any product or services you have got all the rights to raise your issue, if you are not satisfied about something that you are paying for. Keeping this concern ahead today in this article we are going to discuss about the various kinds of the services that you can make the complaint for. You will get the several kinds of complaint letters templates for the poor services from the various services providers. Well, a service may be of several types depending upon the sector of service in which you are receiving it. For example some of the common services that we all receive are the Banking services,courier services,Gas services etc. These are the kinds of services which we often count on, and thus if these services are not up to the time and satisfactory then it may cause some serious trouble to any one of us. Being the customer of these services providers agencies you have all the customer rights to make your complaint to these companies and ask them to improve their services. What you need to do is just address them the complaint letter stating the particulars about their services which have bothered you. You can use the below mentioned template of the complaint letter in this regard to make the complaint. Delivery services are the courier or may be the government post office related services, which we all use or receive in our routine course of life to send and receive the various kinds of the posts or the parcels. These services need to be highly on the time since such services are concerned with delivering the significant posts and the parcel to the related people. 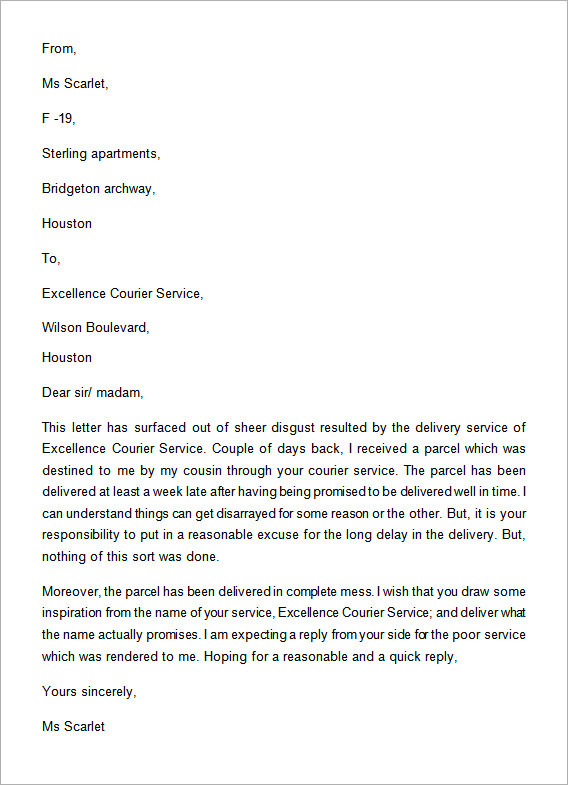 Well, if your courier services providers provide the poor services such as delay in the delivery, and the poor quality of the package, then you have got to raise a complaint against this issue. You need to write the letter keeping the below mentioned points in your consideration. Start the main introductory part by addressing the name of the courier company. Now in the main body you need to write your whole concern related to the poor delivery. Keep the letter precise and to the point and then end the letter with your name and regards. Bank is the center place for all of us in the context of making the financial transactions as we all are dependent upon the bank for the custody of our money. This is the reason that why we often have to deal with the bank in order to make the various kinds of the banking transactions such as withdrawaling or depositing the money. There may be the instances when any of us encounter the poor banking services which may cause serious sufferings to us. You can write a complaint letter to the head authorities of the Bank in order to take this issue into their notice, so that they can improve the poor services. Write the name of the Banking authority at the top. 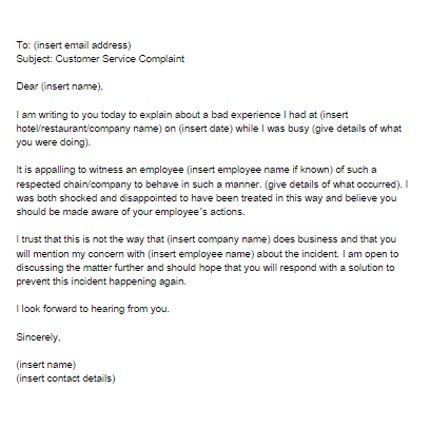 Below that write the subject complaint matter and then address the authorities. In the main body provide your concern to the authorities such as “You have been receiving a very poor treatment from the staff of the Bank who take more than reasonable amount of time to execute any transactions. In the same manner write the whole concern and then end the letter with your regards. If you have been lately experiencing the poor services from the telecoms service providers, then we understand your pain and thus we urge you to write the complaint letter to the authorities in this regard. This is the only way of putting light on your issue, so that it can be fixed as soon as possible. 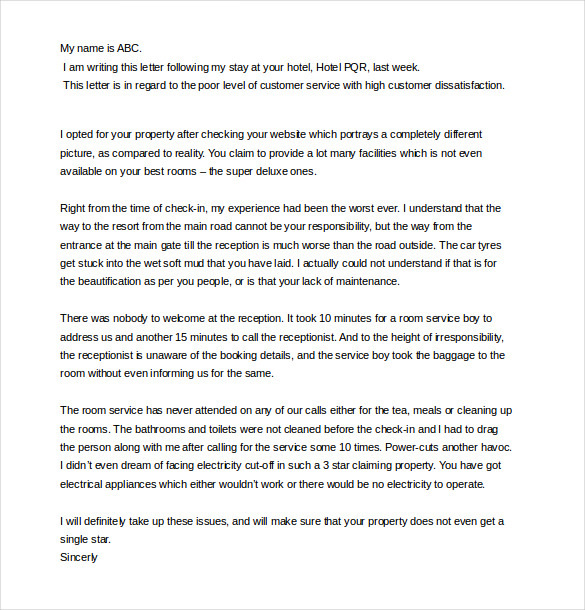 If you are struggling to write the letter then you can have a look of the sample complaint letter below. 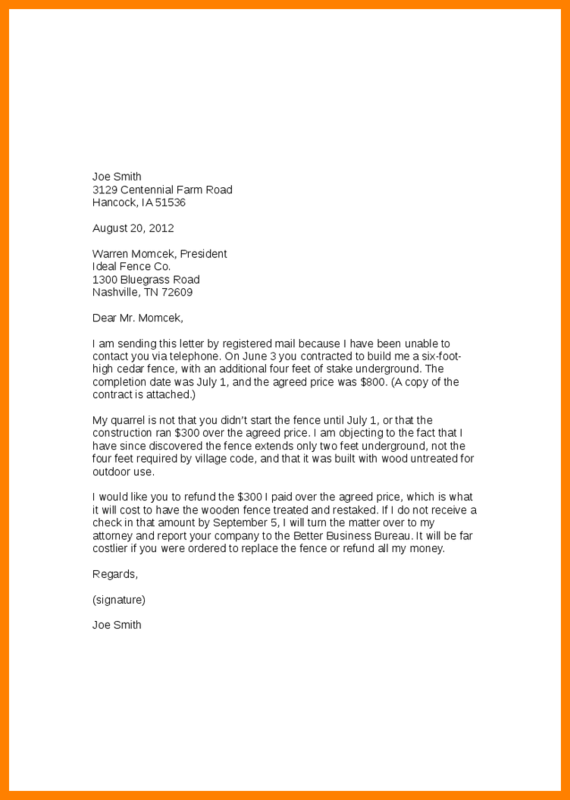 It will provide you with the reference that as to how you should be addressing this letter to them and you can also get its template from here.